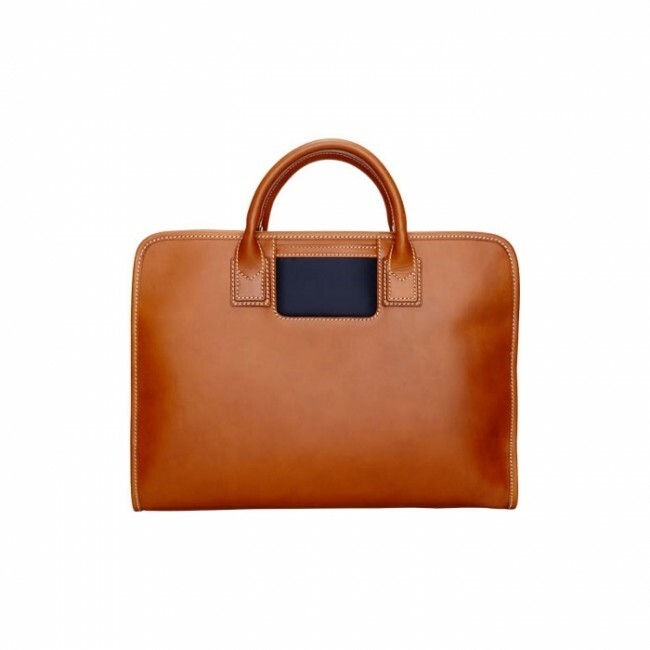 This laptop bag is made of the finest vegetable tanned Vachetta leather. The leather gets a really beautiful patina over time. 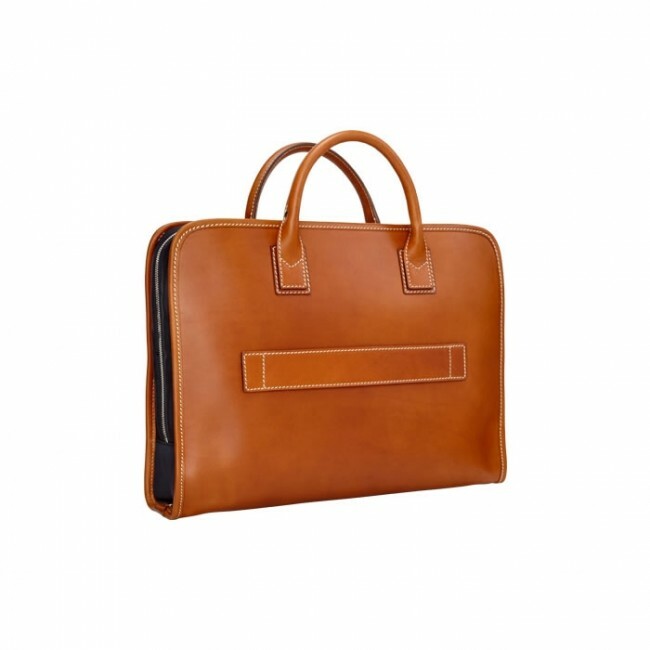 This bag is ideal for both business and casual outfits. 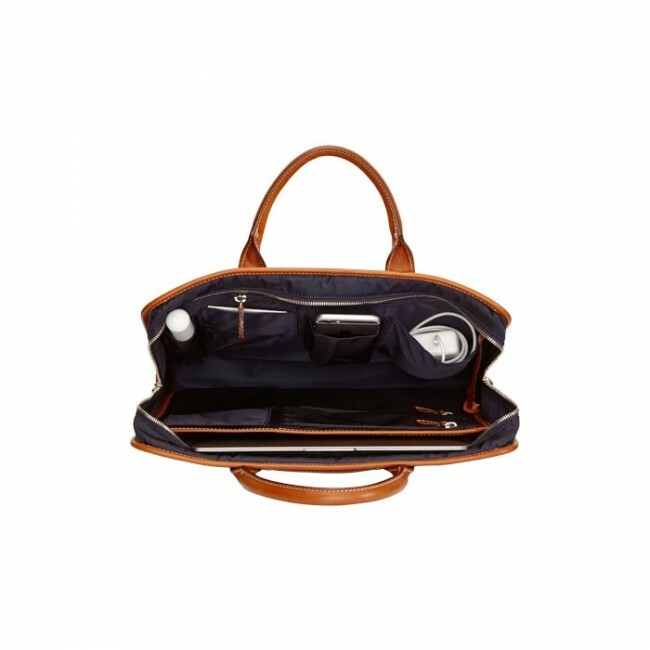 The main compartment closes securely with a zip. 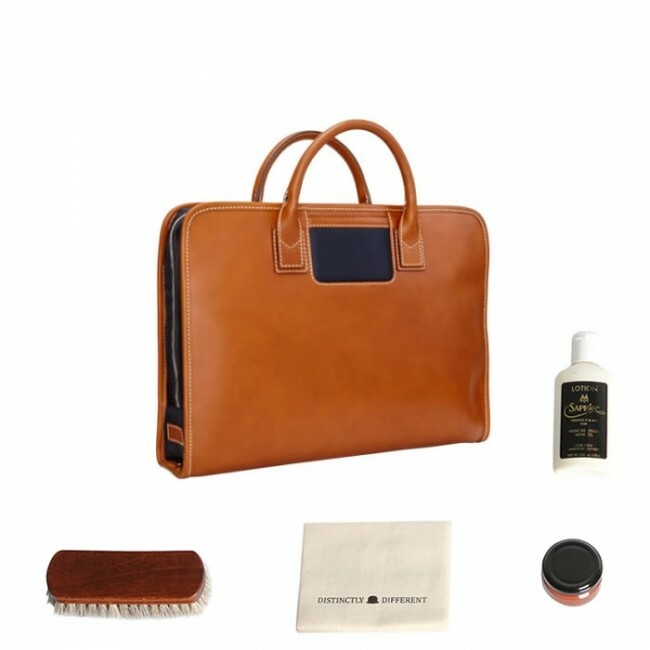 The bag is generously equipped with lots and lots of smart details. On the inside are extra compartments for your glasses, tablet and phone etc.. 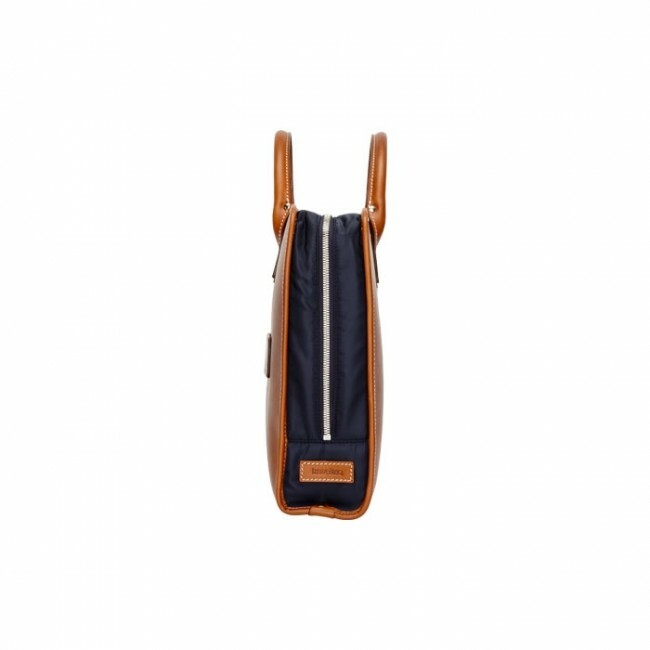 The waterproof nylon lining protects your gadgets. 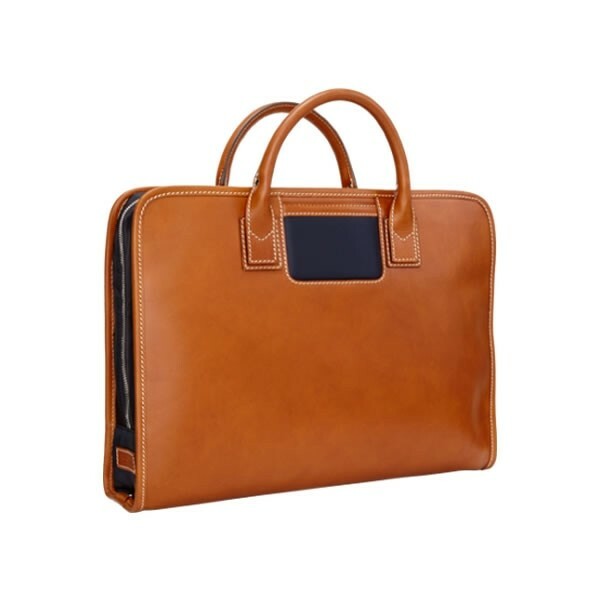 Fits a 15-inch laptop.